RBI is proud to announce Balkan Discovery, an offroad journey following the Balkan Offroad Rally (September 15-22) on real rally tracks in the footsteps of the rally-pilots - but without driving against the clock, even suitable for less-experienced drivers and without the need of a rally-car. The RBI is proud to announce the "Discovery Category" - an offroad challenge allowing you to follow the Balkan Offroad Rally (September 15-22) on real rally tracks in the footsteps of the rally-pilots - but without driving against the clock, even suitable for less-experienced drivers and without the need of a rally-car. Discover the Balkan Offroad Rally, the well selected rally stages through the beautiful and surprising landscape of Bulgaria, the excellent 4-5 Star Hotels (*) or Rally-Bivouacs and the friendly and open Bulgarian hospitality - together with your family or friends. You will explore and drive special sections of original rally-stages and dedicated tracks via roadbook and GPS - to discover the most beautiful parts of the country with your own 4x4. You will be part of the big rally-family and live the rally life with briefings, bivouacs and catering. When you are not racing, you have time to enjoy the fantastic landscape with mountain passes, deep forests, wide open views, wineyards, the beach at the Black Sea or you can explore the villages and cities next to the rally tracks. You only need a standard 4x4 vehicle, fitted with terrain-tyres (we suggest A/T or M/T), a good original or modified suspension, basic recovery equipment like tow ropes/belts, a rally-computer or mobile-phone app to be used with the roadbook - and you are ready to start! Explore the Rally and the country of Bulgaria with the emotions a rally offers: An experienced organizer with a big team, rescue helicopter service, full medical protection, recovery service, tyre-service, own marshalls - and a approved "You Can´t Get Lost" rally safety tracking system - but it would be all under your own pace and driving style. 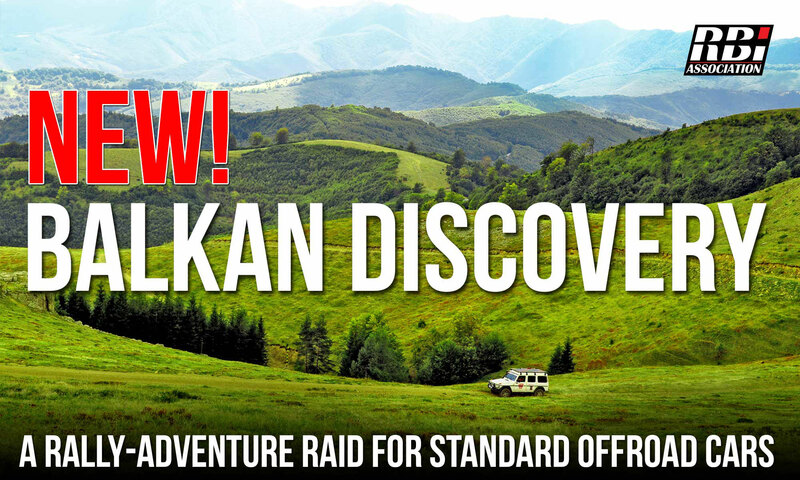 The Balkan Discovery category is open for ATV, SSV and cars. And because we don´t want to “throw you in the cold water”, a theoretical navigation and roadbook training will be part of our Discovery concept – so will be practical advices fro driving on local terrain. Follow a Rally and discover Bulgaria like never before! Bivouac 04 Shkorpilovtsi: The final bivouac will be traditionally directly next to the beach of the Black Sea in the village of Shkorpilovtsi, 35 km south of the city of Varna with the legendary rally-final and prize-giving ceremony at the beach in front of a modern and beautiful resort complex.